Start every story with a bang. I mean that literally. When I first started writing I was given a book by Les Edgerton called “Hooked: write fiction that grabs readers at page one and never lets them go.” This book has been a touch stone for me for all of my subsequent novels. The purpose is to find the correct beginning for your book. He said many people make the mistake of picking the wrong start point, it’s boring or backstory, and in this day and age the ending has to pop right from the first line. Just like songs, books need a hook. Edgerton said that thousands of years ago people know how to open a book, just look at the first lines of Homer’s “The Iliad, “Rage-goddess, sing the wrath of Peleus’ son Achilles.” Or look at Sophocles’ play Oedipus Rex, the first scene starts with the villagers warning Oedipus that a terrible curse is on the land and bad things are happening everywhere. The book starts with the problem with the intrigue, no introduction no description or backstory, straight to the point. After reading about some of the best-beginnings I knew the hook was even more important in the era of the digital book, we only get a few pages to make a lasting impression and get readers to buy our product or agents to pull us off the slush pile. When I applied the principals of Hooked to my own work I changed the opening of Divine Hotel as you will see below. With my best-selling mystery series, which starts with To Murder a Saint I spent months crafting the correct beginning, and even changed the name. The book started with the name C’est Murder New York. The first opening: Jason Stepwald was officially the worst date of my life. Hooked Opening: It’s probably a bad sign on a first date that my mind wandered to how best to bury somebody. 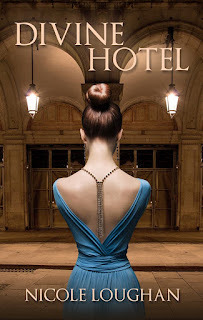 You can find Nicole’s latest book Divine Hotel for sale on Amazon for an introductory $2.99 special. Her Saint’s Mystery Series are also available on Amazon starting with To Murder a Saint. 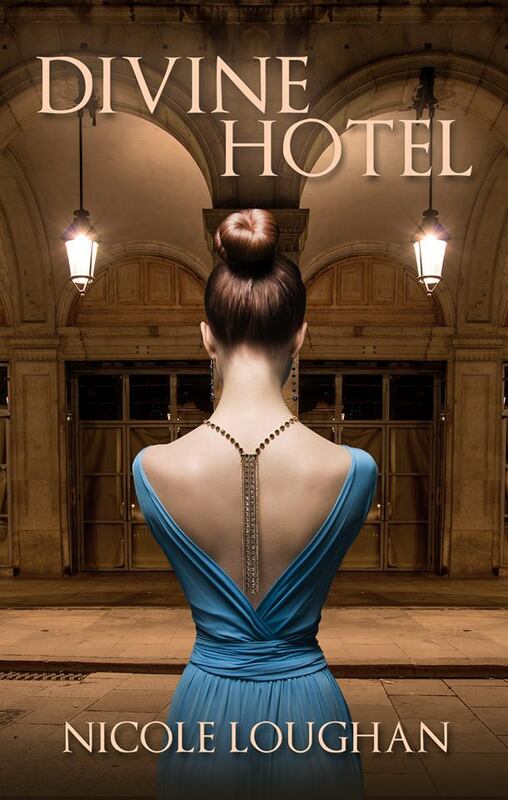 Time is running out for Philadelphia’s Divine Hotel…One woman is tasked with saving two children who lived at the once majestic hotel but she soon learns that there is more to their history and the hotel than she ever thought possible. To save them she’s going to have to re-set the clock for everybody at the hotel and the only way to do that is to go all the way back to 1964. Righting the wrongs of the past will be no easy feat, because there are those willing to fight to keep their sins buried in history. A long time ago, before most people can remember, a palace stood over Philadelphia. It was a place of refuge for the weak and weary of the city, a shining monument of marble, oak and brass that towered over the metropolis. Good and evil were kept in balance there, until one day the scales tipped and evil won out. As the years passed, the marble and brass were stolen, and the oak was stripped of its shine. As the hotel fell into ruin, its inhabitants followed. All was not lost, though, for there was one chance to save the hotel—and its inhabitants—from this fate. Hidden not far away was an otherworldly gift meant to right the wrongs of the past, if only the right person could find it. “You can’t catch me,” the boy shouted as he flung open the doors to the dilapidated dining hall. The room was lit by slivers of sun that peeked through the cracks in the high ceiling, and sporadic beams of light that shone through hastily fastened boards covering the room’s many broken windows. All that was left of the once great hall were water-stained plaster ornaments positioned high up on the ceiling, far out of reach. Everything of value was gone. The light fixtures, hardwood floors, door knobs, and every last bit of shined marble and brass had been stripped away. The floors were an uneven terrain of warped wood and broken boards. The edges of the room were a tapestry of trash, but the center of the great space, which had once housed long oak dining tables, was completely bare. The girl in pursuit walked gingerly over the broken boards. She kept her eyes on the ground and squinted to keep the dust floating through the air out of her eyes. “Slow down, Darrius!” she shouted. She paused in front of a hole in the floor, which blocked her passage into the great room. She stared down and saw only darkness, which could mean the hole opened only down to the next floor, or could possibly reach as far down as all ten floors. She watched him move with feline grace over the broken boards and gathered her courage. She involuntarily held her breath, took two steps back, and focused her eyes on a point just past the opening. She ran as fast as her legs would carry her toward the gap. She pushed off and wobbled as a loose board slid away from her. She fell awkwardly forward and threw her arms out to catch herself. She scratched her palms reaching out for the ledge and only managed a precarious hold. If she’d weighed just a bit more she might have fallen in. Darrius raced to her. The strain of holding on was too much for her, one by one her fingers were slipping, the pinkies first, then the ring fingers, and then all at once the rest gave way and she fell. Darrius grasped her wrist just before she slipped out of sight. He grunted as he pulled her up and out of the hole. As soon as he had her over the edge he fell backwards and she landed beside him with a thud. He laughed so hard the ground shook beneath him. When he stopped he realized the floor was shaking without any work from him, and he bolted upright. “What is that?” Carol demanded, as she jumped up and looked down at the floor. “It’s somebody pounding,” Darrius yelled as he, too, jumped up to his feet. When the pounding ceased they could hear the wail of sirens outside. Darrius jumped up and ran to peek through the boards. You may know Nicole as the syndicated humor columnist, “The Starter Mom,” or from her Best-Selling Saints Mystery Novels. Because of the series’ popularity, Amazon chose it for their Stipend Program to be turned into an audiobook at their expense. An award-winning journalist and author, she was recognized by Writer's Digest as a top fiction writer in 2015 and won honorable mention in genre fiction from the Writer's Digest annual self-publishing competition for her Saints Mystery Series. Nicole writes for two daily newspapers in the greater Philadelphia area and as a columnist for Happenings Media. 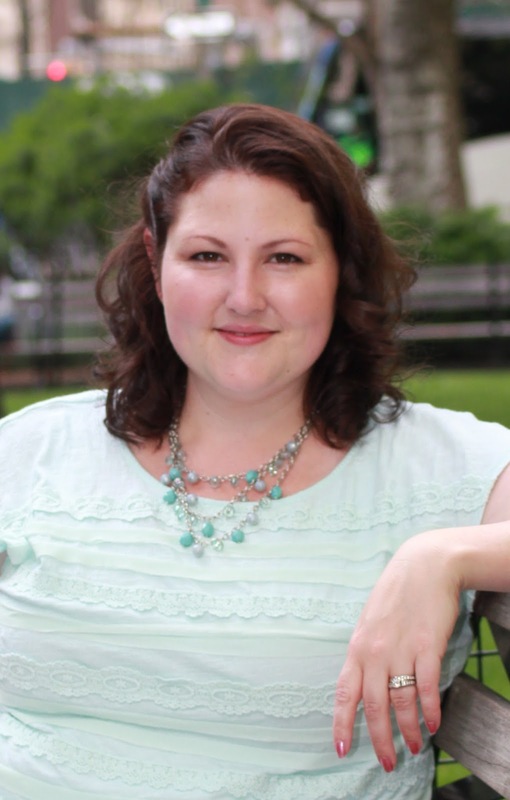 Prior to working as a writer, Nicole was an Agency Social Worker for the Philadelphia Department of Human Services, where she first learned about the subject of her latest novel, Divine Hotel. Nicole grew up on a rural farm in Southern Michigan, but she was always a city girl at heart. She still has a penchant for straight-from-the-dairy cheese, but otherwise prefers to spend her days in New York and Philadelphia and her adopted hometown in Bucks County. The mother of two, she is a soprano in The Bucks County Woman’s Chorus and an amateur pianist.